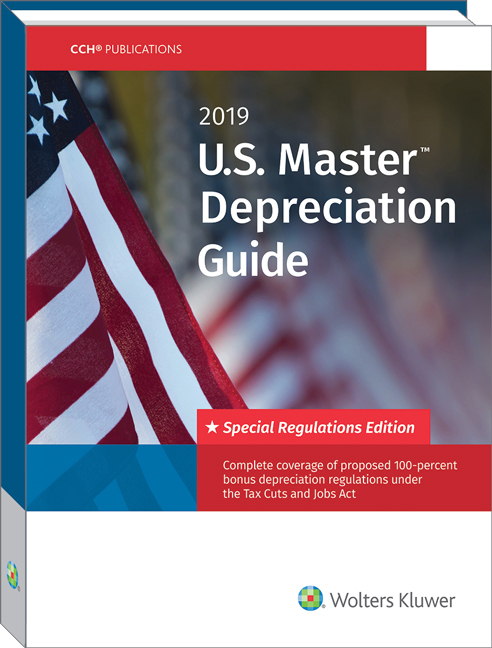 The all-new U.S. Master Depreciation Guide — Special Regulations Edition is completely updated to reflect all depreciation rule changes as a result of the Tax Cuts and Jobs Act. This concise, yet comprehensive resource provides guidance for understanding and applying complex depreciation rules and limitations. Includes Code Sec. 179 expensing rules, and amortization of intangibles, including Sec. 197 intangibles and more! Understanding depreciation rules can be challenging, especially because bits and pieces of applicable information must be gathered from a maze of Revenue Procedures, IRS Tables and IRS Regulations. These sources are frequently old and include some materials which may be non-applicable. The U.S. Master Depreciation Guide — Special Regulations Edition pulls the pieces together, so practitioners have a one-stop resource for all the corresponding information that can be put into practice.